In the previous chapter we discussed the importance of the position of your ad and mentioned that your Quality Score is one of the major factors that determine it. Now, we'll have a more detailed look at Quality Score and why it matters. You see, your bid amount is only one of the components of the formula. If you have a higher Quality Score, then even if your bid is lower than the bids of your competitors, your ad will display ahead of their ad. This is why it's common the ad in the first position to be cheaper than the ads in the 2nd, 3rd, etc. positions. You definitely want to get there � you pay less and you are on top! Quality Score was introduced by Google in 2005 as a response to the increasing amounts of irrelevant ads submitted by advertisers because these irrelevant ads undermined the trust of users in AdWords as a whole. The idea is that relevant ads AND landing pages are to be rewarded, while irrelevant ads that lead to crappy or misleading pages are to be penalized with a lower quality score. In the most blatant cases, even though this isn't related to Quality Score directly anymore, an irrelevant ad/landing page will be suspended altogether. Because of all the frequent abuse of the system in the past, long ago Google started to use human reviewers of ads and landing pages. When you are new to AdWords, Google will assign you some starting Quality Score based on their estimate of ad relevancy. Later, when you start getting actual clicks, the CTR will be the most important factor that makes your Quality Score go up or down. If you want to learn more about how Quality Score is calculated, this Google Help article tells it all. Sure, a higher Quality Score is better. However, you shouldn't be obsessed with it. As practice shows, campaigns with a lower Quality Score can do better than campaigns with high Quality Score, so don't lose your sleep over your Quality Score. Since Quality Score is calculated for each keyword, you will find a separate number for each of your keywords. Open the Campaigns tab, open the Keywords tab and click the white speech bubble next to any keyword. Open the Columns dropdown (located in the toolbar above the statistics table). Select Customize columns, then selectAttributes. Find Qual.Score and clickAdd, then click Save and this is it. Your ad must match your landing page � i.e. if you bid on "natural skincare", your landing page must be about "natural skincare", not about "natural cosmetics" or even worse "cosmetics" in general. 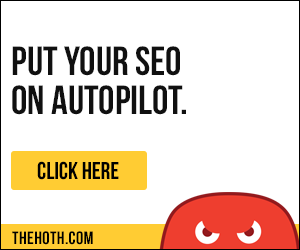 You get rid of all bad keywords � i.e. include as many negative keywords as possible because this will dramatically increase your CTR, and as you know, your CTR is the most important factor for your high/low Quality Score. However, sometimes it can be very frustrating when your ads are relevant and your CTR is good and still you have a low Quality Score. This could happen because Google uses account-level Quality Score, too. This means that if your account is old and trusted, you will get a a higher QS as bonus for this. Till this time comes, don't get desperate, if your Quality Score isn't as high as you want it to be � just try to improve and hope that sooner or later Google will appreciate your efforts.